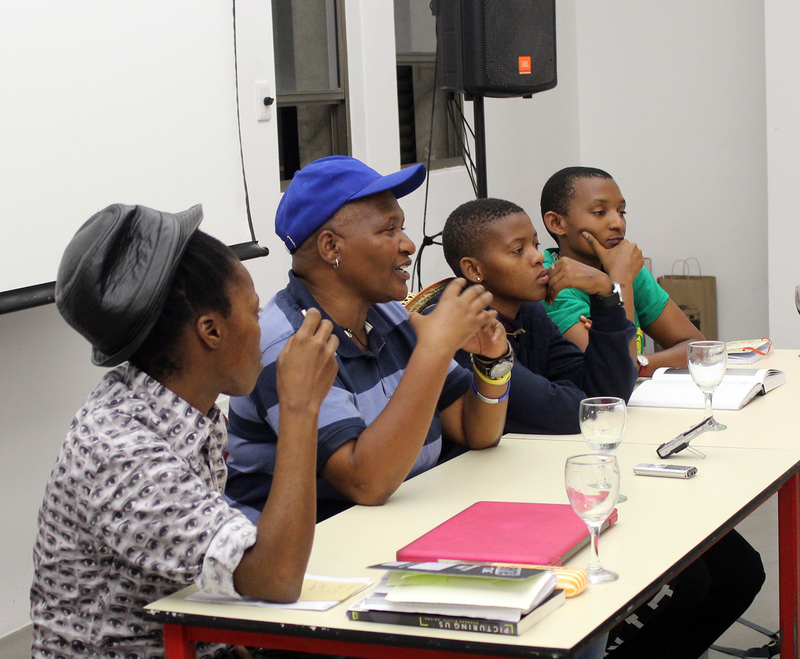 The group was invited to attend Faces and Phases (2006-14) book launch by Zanele Muholi held at the University of Cape Town, African Gender Institute on March 24, 2015. 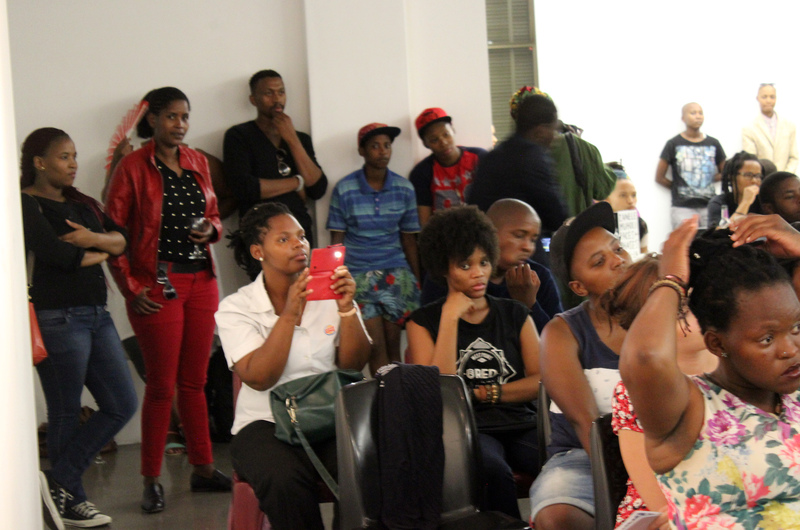 Thirteen group members from the Silubala Safe Space, Kayamandi, Stellenbosch attended the launch and it was their first time to attend at such an event. Below are the views on the whole event from some members of the group. “To me the event was educational, encouraging and inspiring. One of the things I learned at the launch was when it was explained that you may see a butch lesbian and see a boyish looking girl, but if you look deep enough there is a story behind that good looking woman that looks like a “man”. Thank you Faces + Phases for a great opportunity. This entry was posted in Black Lesbian Icons in South Africa, Black lesbian visibility, Freedom, Freedom of being, FreeGender, Gender Equality, Gender expression, Networking, Organizations, Our lives in the picture, Participants, Participation, Reality, Reason, Recognition, recognized, South African politics, South African struggle, Stories, Visions, Visual activism, Visual activism is a language, Visual Activist, Visual Activist in the classroom, Visual democracy, Visual diaries and tagged Action, Another approach is possible, beauty, Black lesbians, Cape Town, Collaborations, community, Education, Experience, Expression, Feelings, Friendships, Homosexuality, Human beings, Kayamandi, Life, Lindeka Qampi, Nondi Vokwana, Photography, Relationships, Silubala Safe Space, South Africa, Stellenbosch, University of Cape Town, Voices, Writing is a Right, Zanele Muholi. Bookmark the permalink.